All Northeast Pennsylvania Audubon events are FREE and open to the public unless otherwise noted. If it appears that the weather might dictate a change or cancellation, please call the program coordinator (as listed for each event) for the latest details. February 14: PRESENTATION – SUMMER CAMP AT HOG ISLAND, MAINE. ***DUE TO THE IMPENDING WINTER STORM, THIS PRESENTATION HAS BEEN MOVED TO THURSDAY, FEBRUARY 14TH at the Chamber of the Northern Poconos Community Room at 5 PM. *** Want to go to Family Camp on an island in Maine for FREE? Find out more from a member of National Audubon’s island staff, Eric Snyder. Refreshments served. Call 570-253-9250 for more information. February 19: WHAT MAKES ME SPECIAL. 6:30 PM at the Taylor Library, 710 S Main St, Taylor, PA 18517. Ways Critters and Plants Survive. Did you ever wonder how a camel survives in the desert? Or why flamingoes have such strange beaks? This program will explore adaptations of a variety of species, from plants and insects to fish and mammals, including humans. Please RSVP at 570-562-1234. March 2: BLACK BEAR, BLACK BEAR, WHERE DO YOU SLEEP. 1:00 PM at the Carbondale Library. Learn about where our animal neighbors go in winter, how they stay warm, how they survive, hibernation, migration, and other ways creatures cope with the cold months of winter. March 4: BIRD & NATURE PHOTOGRAPHY program by Mike Malzone. 6:30 p.m. at the Honesdale Chamber of Commerce Building. Join the Audubon Society as Mike Malzone gives his presentation on the basics of photography for beginners, with an emphasis on photographing birds & wildlife. A question and answer period will precede a short slideshow showcasing some of Mike’s work. April 13: “ADOPT A HIGHWAY” litter pick-up. Join us for our annual cleanup along Route 191 near Lake Ariel, PA. Free breakfast afterwards!! Call Kathy at 570-253-9250 to sign up. May 4: BIRD WALK AT LACAWAC SANCTUARY, Begins at 8 a.m. Meet at the visitor center. We’ll explore the area around the Lacawac Sanctuary, looking for birds setting up their nests as well as migrants just passing through on their way farther north. There is a good chance the Ospreys will be back on their nest, woodpeckers should be active in the trees, warblers singing throughout the woods. The Northeast PA Audubon Society’s expert birders will help you see and hear plenty of birds this morning! We recommend you bring binoculars. May 5: BIRDS AND BAGELS, 8 a.m. Meet at the historic Beere School just north of the Himalayan Institute on Route 670, for breakfast refreshments and a short tutorial on bird identification techniques before going on an easy bird walk to use your new-found skills. To reserve your spot, register with Audubon at 570-253-9250 or email audubonworks@gmail.com. May 11: PENNSYLVANIA ANNUAL MIGRATION COUNT. Join a team to look for returning migratory birds. All ages, all levels of expertise & knowledge welcome. Contact David at 570-909-8052 or david@pibird.com. May 18: Wetlands Program. Varden Conservation Area. Check back for more details. June 2: BIRD WALK at FOX HILL FARM. Join us on Sunday, June 2, 2019 at 8:00 a.m. at Fox Hill Farm in Honesdale. 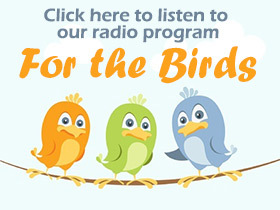 Learn about birds of the farm and beyond. Come one and come all, no experience necessary. Bring your binoculars! A snack will be provided. For reservations, call Katharine Brown at 570-647-9476 or email foxhillfarmexperience@gmail.com. June 16: FATHER’S DAY CANOE AND KAYAK OUTING. Join us for a wonderful 5-6 mile float down the Delaware. See lots of birds and wildlife including eagles, waterfowl, and possibly a deer or bear along the shore! Bring a dish to share for supper at a nearby cabin after the trip. Don’t have a boat? A few are available, but reserve early. Call Pete at 570-253-9250. July 20 & 21: 33rd ANNUAL AUDUBON ART AND CRAFT FESTIVAL. 10 a.m. to 5 p.m. each day. A wonderful family event with art and crafts for sale, free wildlife shows, nature exhibits, and children’s crafts. The $5 entrance fee supports NEPAS scholarship programs. Children under 12 free. Held at Wallenpaupack Area High School on Rt 6 in Hawley. September 28: BIRD WALK AT LACAWAC SANCTUARY, Begins at 8:30 a.m. Meet at the visitor center. Join the experts from the Northeast PA Audubon Society as we take a walk around the grounds of the Lacawac Sanctuary, looking especially for birds heading south to their wintering grounds. We’ll search around the lake, pond, field and forest, hoping to see a good diversity of birds, both resident and migrant. We recommend you bring binoculars. December 14: AUDUBON’S 120TH ANNUAL CHRISTMAS BIRD COUNT. This survey provides critical data for scientists who study the long term trends in bird populations. Participate and learn how we conduct this local count within a 7.5-mile radius of White Mills PA. For more information call Barbara at 570-253-2364.